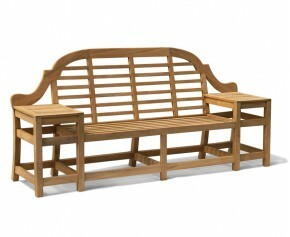 A more decorative style of bench, our Cheltenham benches will invigorate your outdoor space with elegant style. Featuring a beautifully carved lattice back, these garden benches will make a stunning focal point and leave a lasting impression. Our garden benches are handcrafted with the finest grade-A teak, so you are assured high quality and extreme durability. Weather resistant, these Cheltenham benches can remain outdoors all year round with minimal fuss. With their combination of graceful style, practical design and comfort, our Cheltenham benches are the perfect choice for your outdoor space.